Strawberries pave the way as the first summer fruit to ripen, with April to June the peak of the strawberry season. Sure you can get strawberries later in the summer, and in fact throughout the year, but the sweetest, best strawberries are hitting stores, farmer's markets and fruit stands now. Here are our best strawberry recipes, including salads, desserts and delicious cocktails. This is my favorite fruit salad. If you like burrata with tomatoes you will be wowed at how well it pairs with fruit. This salad takes 10 minutes to prepare and always impresses. The key is to use fresh, seasonal fruit at its best. I change up the fruit depending on the season. Here is a tip for making this salad even better: once you assemble the salad finish it off by drizzling honey over the top. This was one of my daughter Margo's favorites. She would make a big batch for dinner at the beginning of the week and eat the leftovers for lunch for several days. This salad is dense with nutritious and flavorful ingredients. We make it with chicken so that it stands alone for a meal, but you can also make a lighter vegetarian version without the chicken. Make this salad with leftover roast chicken or grab a roast chicken from the market and throw this satisfying salad together for a quick weeknight meal. The salt and pepper candied walnuts are terribly addicting. I recommend making extras because they are known to disappear before they make their way to the salad bowl. Italian cooks have been pairing strawberries with balsamic and pepper for ages, so it is not surprising that this combination makes a wonderful ice cream. After I developed this recipe I was delighted to find a similar flavor at my favorite ice cream store in Portland, Salt and Straw, now with shops in Los Angeles as well as ice cream mail delivery. This homemade ice cream is a good beginner ice cream recipe because it does not require you to cook a custard, but tastes spectacularly good. 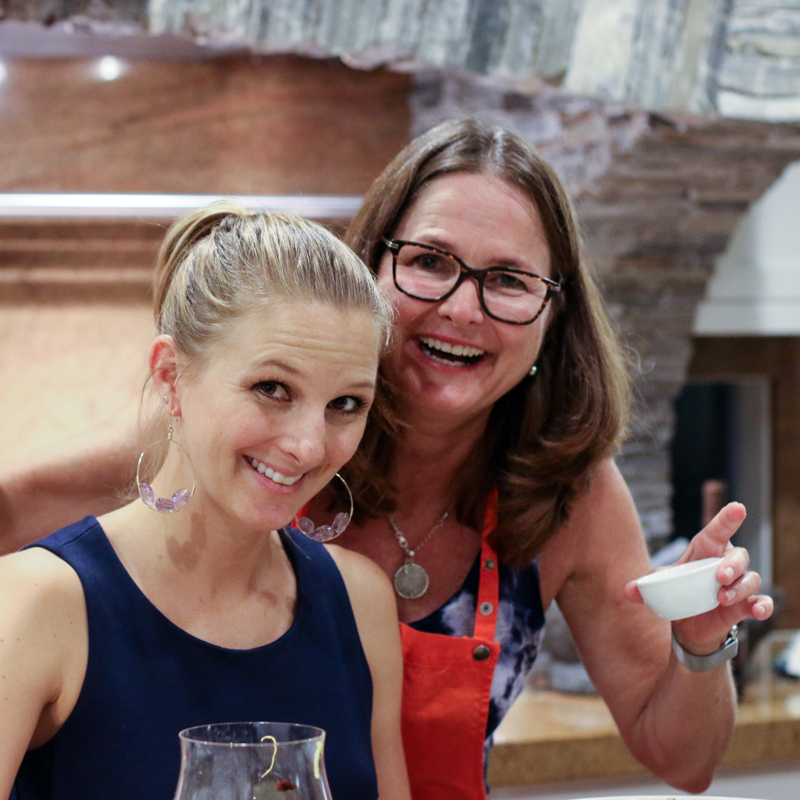 Mario Batali uses the same traditional Italian combination of strawberries, balsamic and pepper to make a sinfully good panna cotta. Strawberry and rhubarb are a classic spring combination that make for a delicious panna cotta. This recipe is a variation on Mario Batali's Strawberry, Balsamic and Pepper Panna Cotta that uses both yogurt and cream to create a rich and tangy panna cotta. My niece Madi and I created this delicious gluten-free birthday cake using Analese Roberts' Lemon Cake recipe as the basis for the cake. Analese is an expert gluten-free baker. I recommend her book Gluten-Free Baking Classics to anyone wishing to learn how to make wonderful gluten-free baked goods. This is a spectacularly beautiful and incredibly delicious dessert with a huge wow factor. It is based on Maggie Ruggiero's recipe for Three Layer Berry and Brown Sugar Pavlova, published in the July 2009 edition of Gourmet Magazine. There may not be a better non-chocolate dessert on the planet. I grew up eating this delicious combination. Strawberries, imported from the mainland, were a special treat when I was growing up in Hawaii, where as pineapple, mango and papaya were local grown. When we were lucky enough to get strawberries my family would cluster around bowls of sour cream and brown sugar, dipping the strawberries first in the sour cream, then in the sugar and finally into our mouths. You can't go wrong with this delicious, no-preparation dessert. Refreshing and seasonal, make this cocktail when strawberries are sweet and ripe. Made with Hendrick's gin, which is infused with rose and cucumber. This cocktail is exceptionally delicious. A tasty twist on traditional sangria, tangerines and Meyer lemons add flavor and freshness to this warm weather drink. 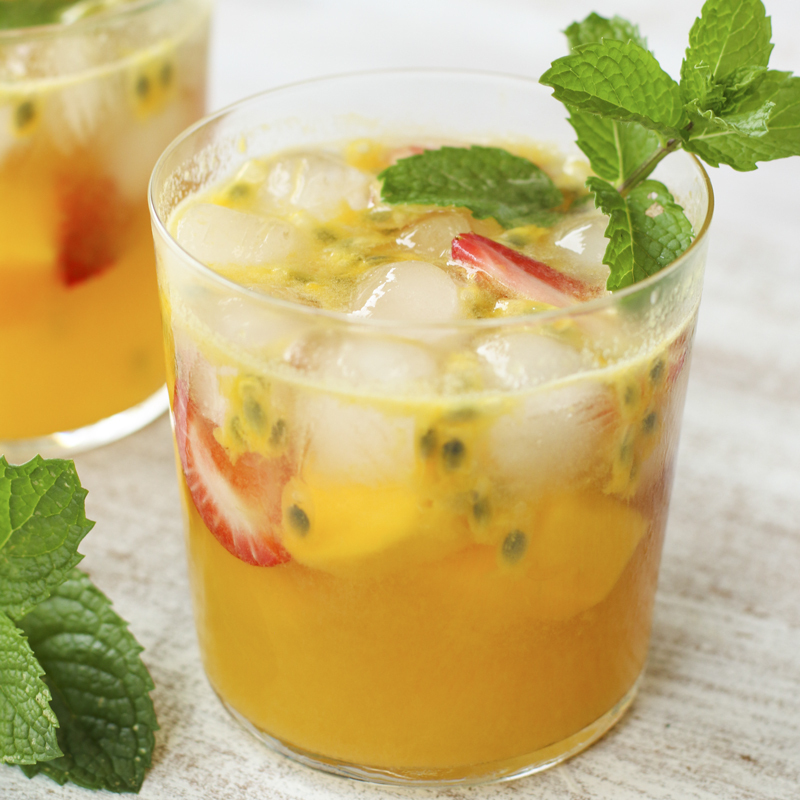 Strawberries, passionfruit, mango and pineapple combine to make a wonderful white sangria. The best part is eating the fruit after you have drained the liquid from your glass! Want to learn more about strawberries, including their health and nutrition benefits? Check out my post. It is wonderful when something so delicious is good for you too! We hope you enjoy strawberry season as much as we do!